Peterborough United chief executive Bob Symns has defended the club’s decision to orchestrate a quick sale of 6,000 tickets for the FA Cup third round tie at Chelsea on Sunday, January 8. Posh sold their entire allocation in just a day and a half, but some season ticket holders, and some who attended the second round replay against Notts County to gain priority purchasing powers, were among those to miss out. Posh supporters queueing at the ABAX Stadium to buy tickets for the FA Cup game at Chelsea. Most controversially Posh allowed anyone who went to the County game at the ABAX Stadium to purchase four tickets for the trip to Stamford Bridge. Season ticket holders were given a 24-hour timeslot to purchase their Chelsea ticket, but they were restricted to one apiece. If they wanted to sit with family and friends they had to take their chances the following day alongside those who watched the County replay. 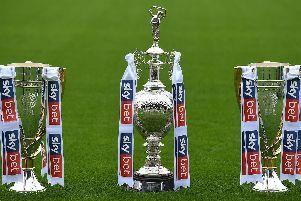 Posh also suffered on-line technical issues which stopped some fans purchasing third round tickets. But Symns said: “The decision to allow multiple purchase was based upon technical set-up time and trying to help supporters (who had multiple tickets from the replay) who couldn’t attend the stadium being able to rely upon fellow fans/family to buy on their behalf. Posh are trying to arrange a big screen viewing of the game at Chelsea for those unfortunate enough to have missed out on tickets. Posh require permission from Chelsea, the BBC and the Football Association before they can confirm the screening at the ABAX Stadium. “We are going through due process for permission to screen the match,” Symns added. Posh enjoyed success when arranging a similar deal for the League One match at Northampton in October which was also a sell-out for Posh fans.